Enslaved released "Roadburn Live," the band's first official live album. The album was recorded during one of band's headlining shows at the renowned Roadburn festival 2015, an edition curated by Enlaved's guitar player Ivar Bjørnson. Unpacking Enslaved 'Roadburn Live' - 2LP Record Store Day Limited Color Edition (Clear) from By Norse Music on Vimeo. Walter Hoeijmakers, Roadburn's artistic director, commented on the release: "It's no secret that there's a strong friendship between Roadburn and ENSLAVED. 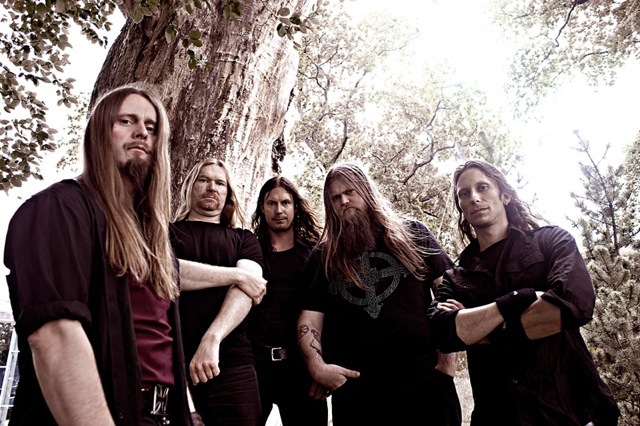 One of the most hard-hitting and progressive bands to come out of Norway, ENSLAVED has played a significant part in the festival's history — both musically and antically. Not only has ENSLAVED been our artist in residence, bringing side-projects such as The Armageddon Concerto (the ENSLAVED/SHINING collaboration), Dream Of An Opium Eater, and Trinacria To Roadburn, Ivar Bjørnson has also been our 2015 co-curator, along with WARDRUNA's Einar Kvitrafn Selvik, resulting in SKUGGSJÁ's first-ever performance outside of Norway. ENSLAVED's 2015 performances were the pinnacle of this enduring and artistic friendship, and showcased the massive influence the band has had on both Roadburn and the (underground) metal scene for the past two decades. To have these shows captured on vinyl is a dream come true for me, and I truly hope it's the same for anyone who was in attendance, or those who want to indulge themselves in the Northern magic of ENSLAVED." Becky Laverty of Roadburn festival further comments: "Enslaved and Roadburn share a history that is entwined and their 2015 performance on the main stage was such a fantastic milestone for both parties, that it makes perfect sense for the show to be released as a live album. As the album will be released during Roadburn 2017, it seemed fitting to invite attendees and the band alike to join us for a playback session at the festival as part of our popular side program."